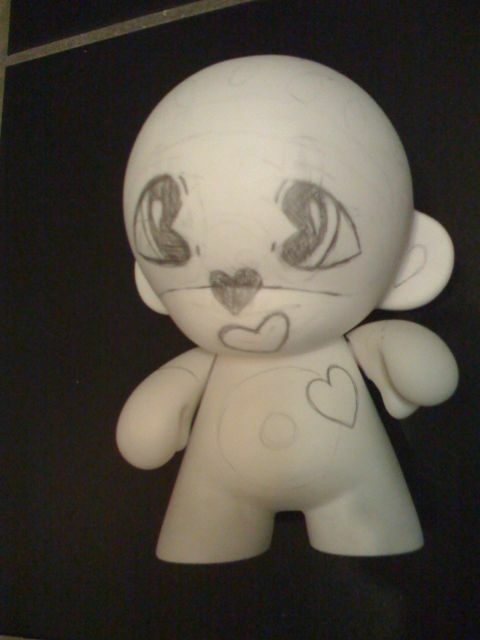 It took my coworker Brian, entering a Munny contest to get me to finally customize a vinyl toy. Here’s the concept so far. Heart shapes make up the facial features, eyes, nose, mouth and ears. The back of the head is decorated with an image of a rotary telephone. 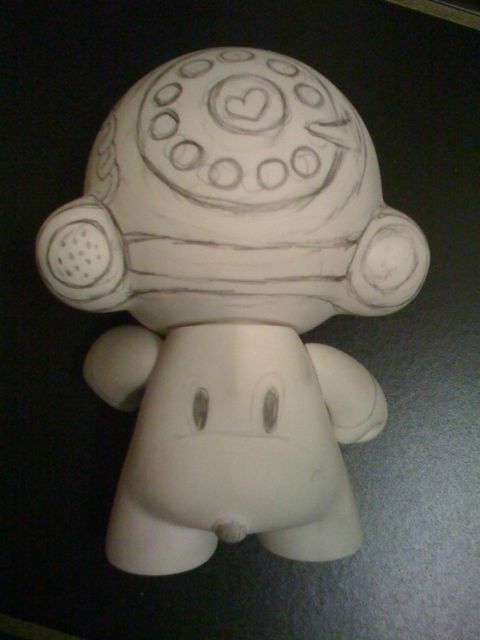 The back of the torso becomes a ‘Snoopy’ face. Stay tuned for more updates – I am working to get this finished in a week or so.